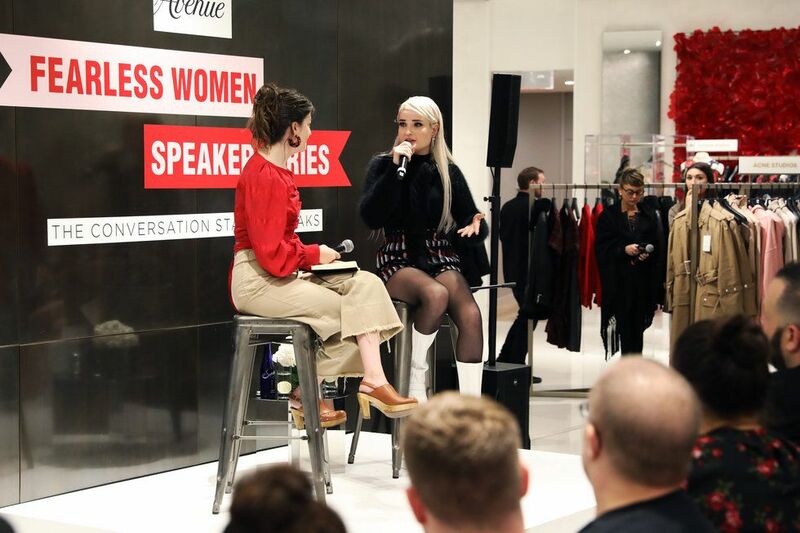 "I just love to stunt," proclaimed pop princess Kim Petras to an intimate crowd at New York City's Saks Fifth Avenue. 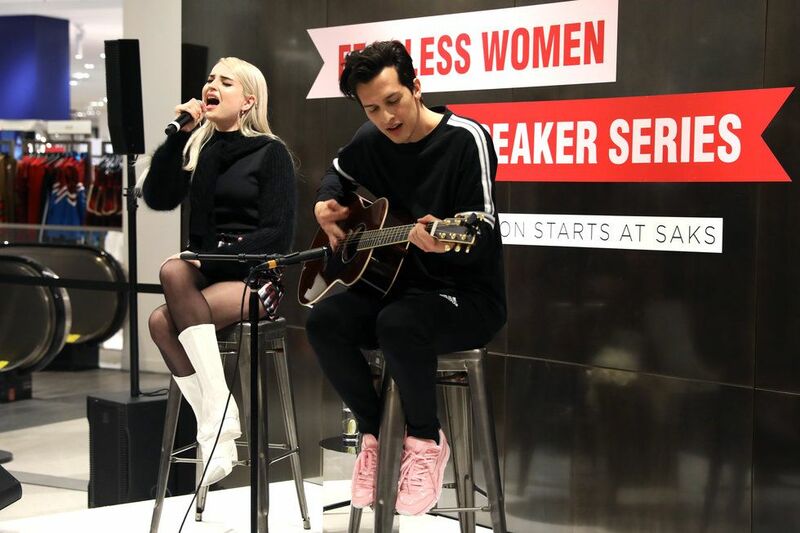 She was an invited guest this week for the store's "Fearless Women Speaker Series," where she spoke about her love for fashion, and played a live acoustic set featuring a cover of The Killers' "Human." Petras recounted her dream of becoming the pop star she is today from age 13. She began posting videos on YouTube and fell in love with songwriting after being inspired by hit lyricists like Carole King and Debbie Harry of Blondie. "I just wanted to learn how to make those magical songs I was listening to," Petras said of her time spent studying the genre. Her new mixtape, TURN OFF THE LIGHT, VOL. 1, was released on October 1st to kickstart Halloween month, and she talked about her obsession with horror films, as well as collaborating with songwriters Jesse Saint John and Sarah Hudson on the lyrics. How would Petras define the mixtape's sound? "Demonic-pop rave music," she said, aptly following a creepy, bizarre rollout for the project. Petras, who is transgender, also spoke of how important fashion was to her teenage years after spending most of her youth limited to gender-neutral style. Calling herself a "total fashion girl," Petras remembered collaging images from Vogue and dreamed of one day going to fashion week. That fantasy came true just a few weeks ago in New York City, and she recounted moments like sitting front row at Marc Jacobs, cheering on her friend and designer, Christian Cowan, and being too nervous to say hello to Nicki Minaj. Yet, Petras' successes certainly didn't come overnight. At 19, she moved to Los Angeles to work with producers she met online, hoping to jump start her career. It was two years before anything really happened for her. She recounted sleeping on couches in studios and never getting a cut of pay for the songs she wrote daily. These "failures" propelled Petras to where she is now. Fergie cut a song of hers, which led to her getting a publishing deal. Then, she began working on her debut album, "which is not out yet," she said laughing. But she does have a stacked lineup of successful singles, including her breakout hit "I Don't Want It At All," and "Heart to Break," which just entered Top 40 radio this week. Finishing off her interview, Petras told the audience, "I just feel like I bring fun to music," before performing stripped versions of fan favorites, including "Hillside Boys." 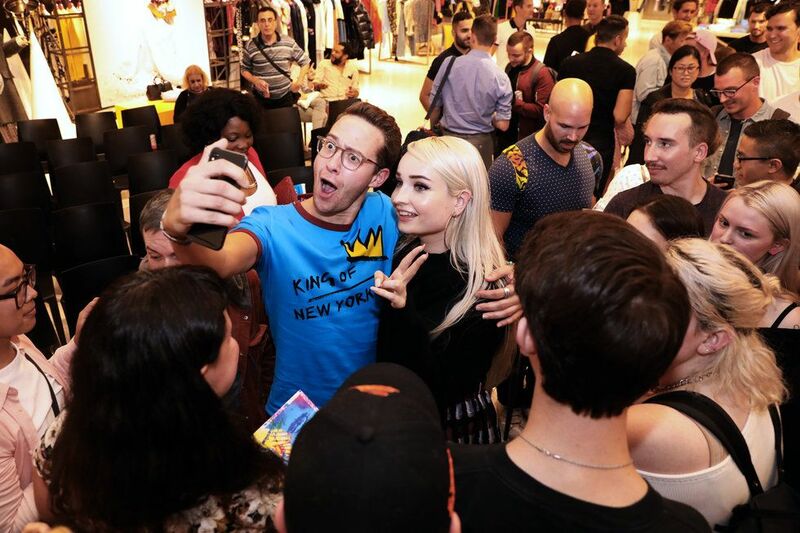 She finished off the event meeting the swarm of fans who attended, signing shoes and even saying hello to someone through FaceTime from his tanning bed at home. Donning lipstick-printed Prada shorts (she said she spent hours picking her look for the night), Petras left her mark on Saks Fifth Avenue. Kim Petras is currently opening for Troye Sivan's Bloom Tour. Stream TURN OFF THE LIGHT, VOL. 1, below.